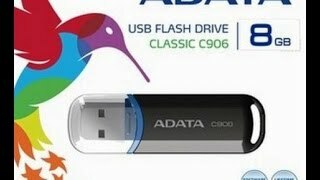 The c906 usb 8 gb black USB Flash Drive is manufactured by Adata and was added around September 2016. This version of the USB Flash Drive comes in Color : Black , Storage : 8 GB. The best price for the ADATA C906 USB 8 GB in Qatar is QAR 20 sold at Gear Up and available with free shipping and delivery within 3-5 working days for outside UAE orders. Product is also sold at Gear Up for a price up to QAR 20.